HooooOOOW's it shakin', Groove-ophiles! 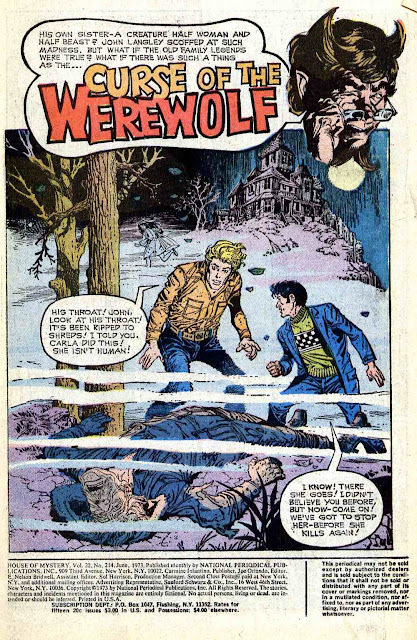 You know Ol' Groove loves werewolf stories, and today we've got a hair-raising howler (ouch and double ouch)! From House of Mystery #214 (Mar4ch 1973) here's "Curse of the Werewolf" by Jack Oleck and Rubeny (Ruben Yandoc)! 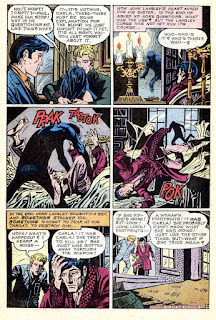 I always enjoyed the DC horror mags, House of Mystery, House of Secrets, Ghosts and Witching Hour. I really liked the one artist in paticular Taloq (spl?) but have never found much information on him, do you have any info on him Groove? 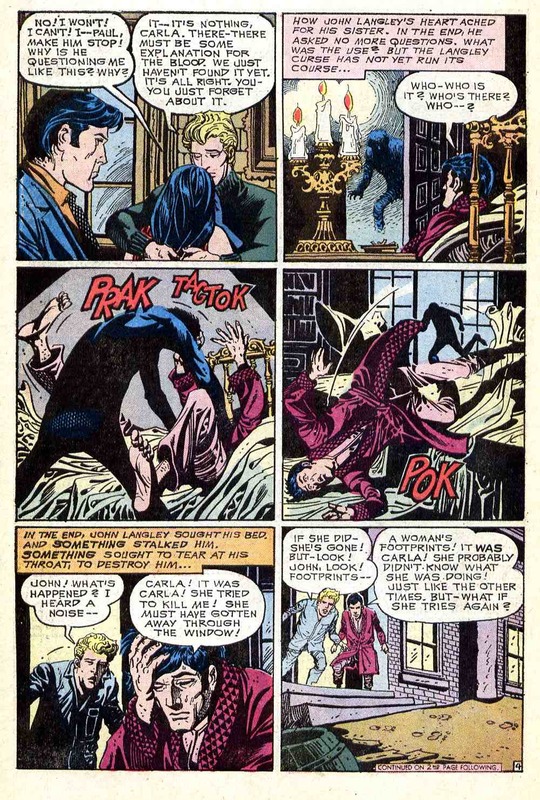 Did you like him on The Phantom Stranger? 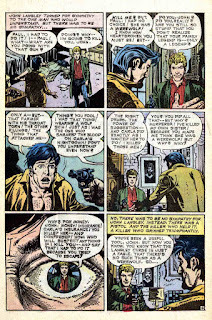 I thought Gerry Talaoc's run with Dave Micheline on the Unknown Soldier strip was fantastic. 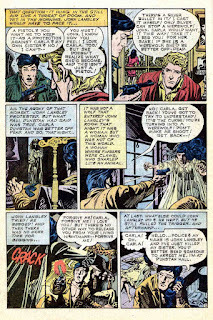 He also drew the Phantom Stranger as well as all those mystery comics. 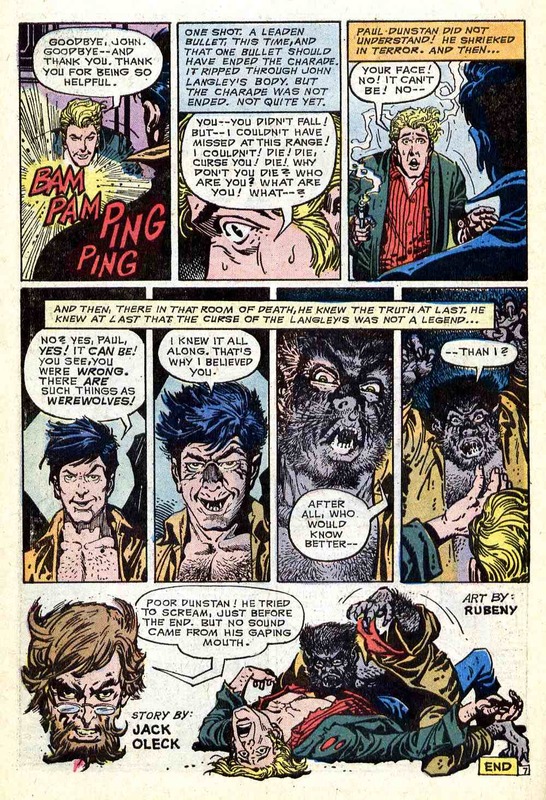 Marvel continued their rather closed-minded tradition with him of using Filipino artists chiefly as inkers, and you can find Talaoc's finishes on the Hulk, Conan, and I'm sure others. I wonder how many of the Filipino artists are still with us? 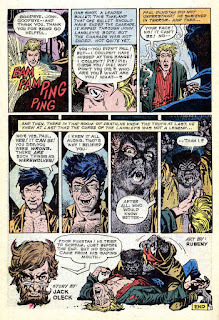 DeZuniga, Alcala,Chan and Redondo are gone. 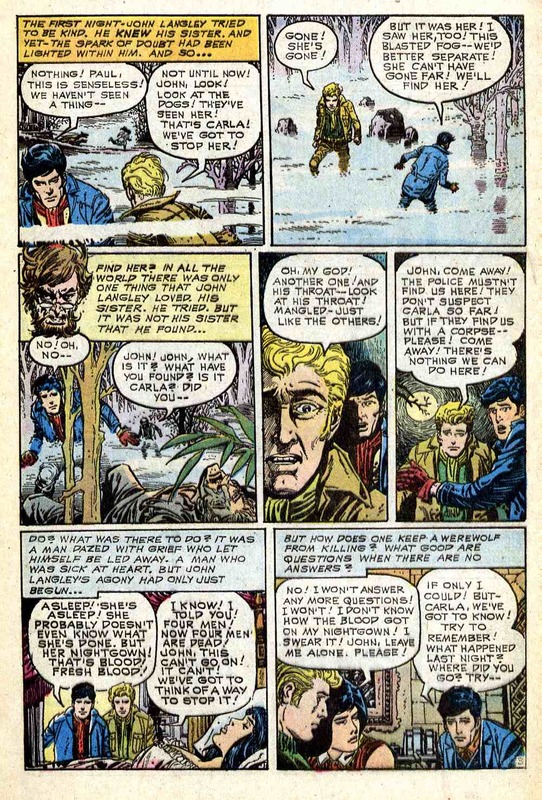 As far as I know Nino and Nebres are alive. Anybody know? 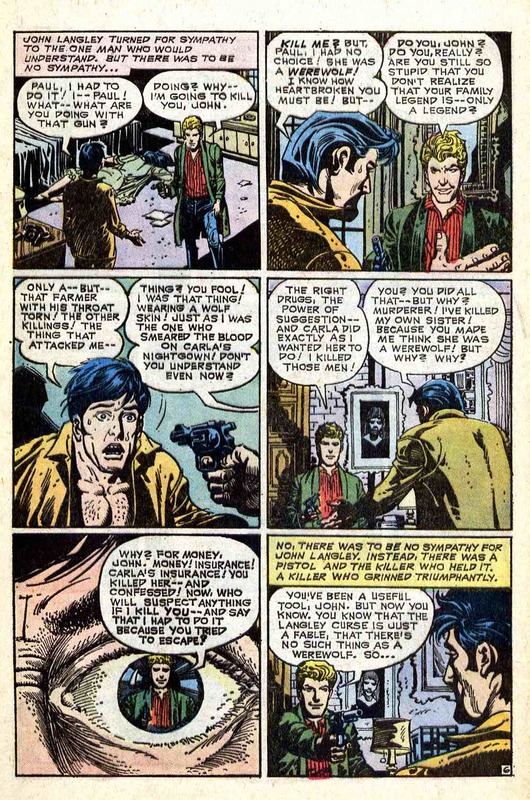 Although they dominated comics in the 70s, especially the mystery books, they seemed to fall out of favor in the 80s and had pretty much disappeared by the 90s. Rico Rival is still alive. He drew a Christian graphic novel called BROTHER YUN about the leader of the underground church in China not too many years ago. Danny Bulanadi is, too. 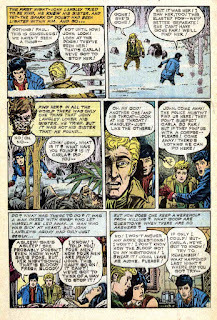 He has done some recent work for Kingstone Comics (Christian publisher). 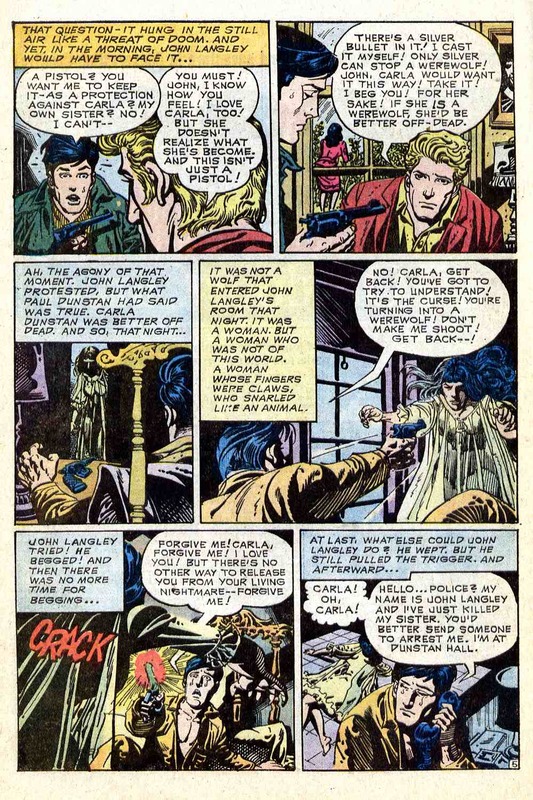 Jack Oleck's script for this story was FAR superior in the second HOUSE OF MYSTERY paperback (illustrated by Berni Wrightson) in 1973. Read it there, and you'll agree. 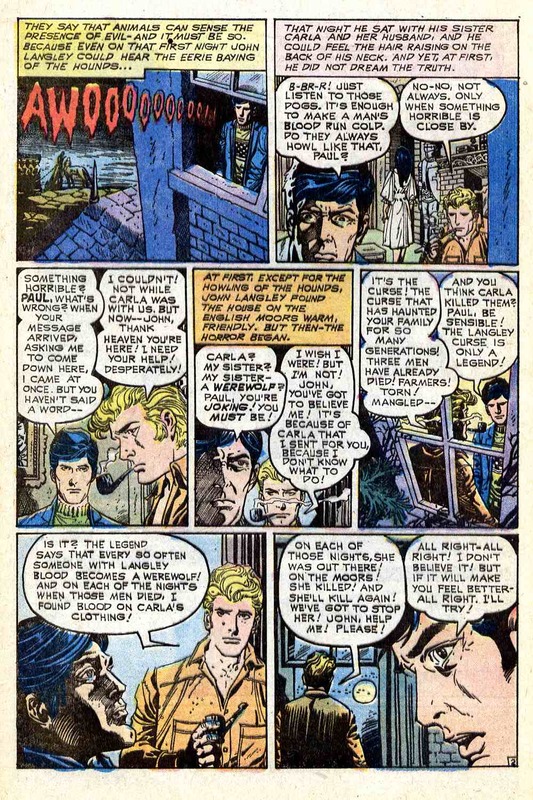 This one is too condensed; it needed to run an entire issue long.